After two weeks of intensive training, members of another rotation of the Resolute Support mission in Afghanistan are ready for deployment. The Joint Force Training Centre (JFTC) has just completed the second in 2018 Resolute Support training event. The closing ceremony took place on 26 April. 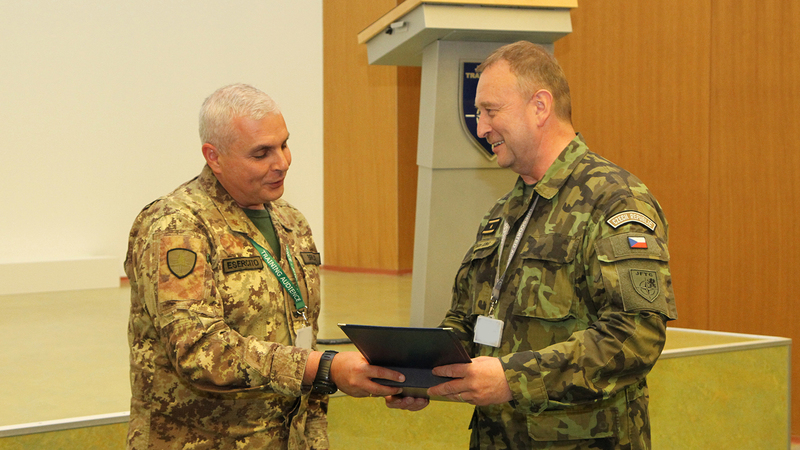 “I am sure you got the right package of training, covering your needs and expectations” – said Brigadier General Ladislav Jung, the JFTC Deputy Commander and Chief of Staff who led this training event. He thanked all the soldiers for their commitment and hard work during the exercise. 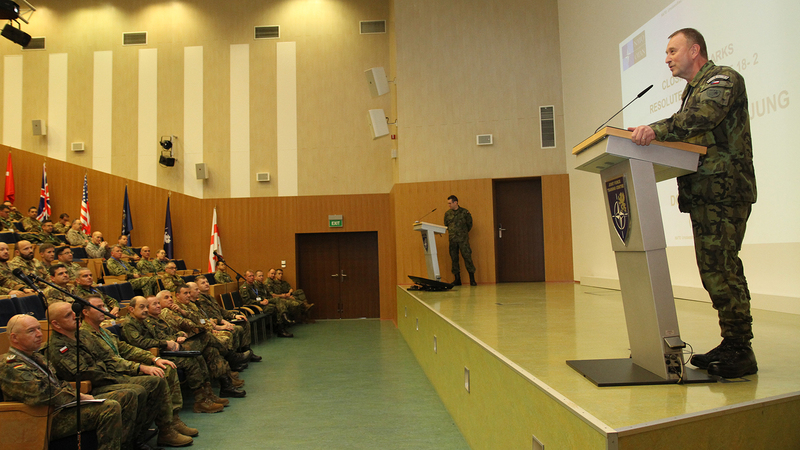 General Jung underlined the role of Subject Matter Experts, including personnel who arrived in Bydgoszcz directly from Afghanistan or soldiers recently redeployed from the theatre. 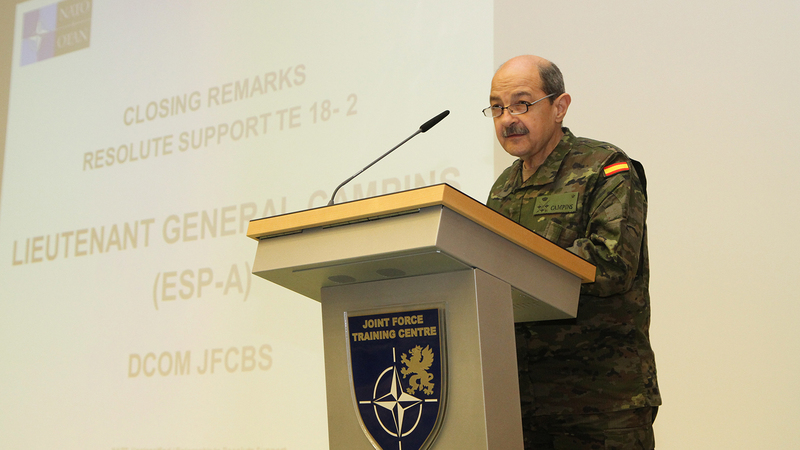 “Your contribution to this exercise proves that the concept when predecessors train their successors is the most effective, and the most efficient (...) Therefore, be ready to come back to JFTC to support us in future training” – General Jung added. 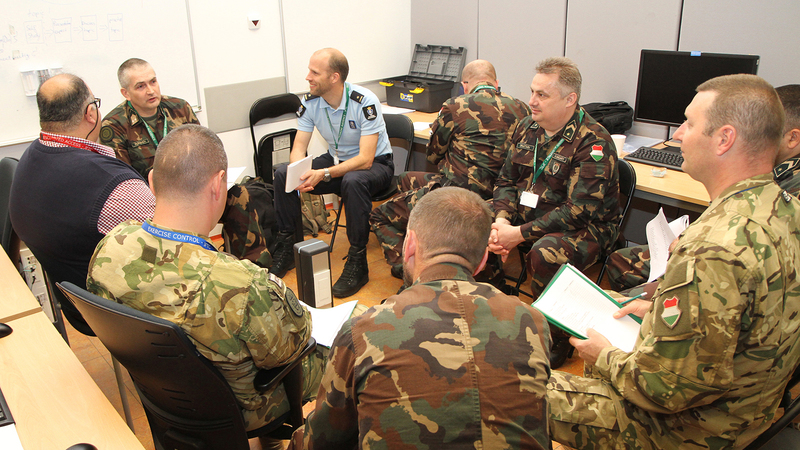 Throughout the whole exercise the trainees received the necessary update regarding situation in Afghanistan and the tasks assigned to NATO personnel during the mission. In the academic phase, they were introduced to the train, advise, assist processes as well as the rules governing cooperation and relations between the operational level and the tactical level elements. Considerable attention was also devoted to the security of the Afghan mission participants. All lectures were conducted by highly experienced staff. The second phase of the training allowed for practicing particular tasks and situations soldiers will be confronted with in Afghanistan. 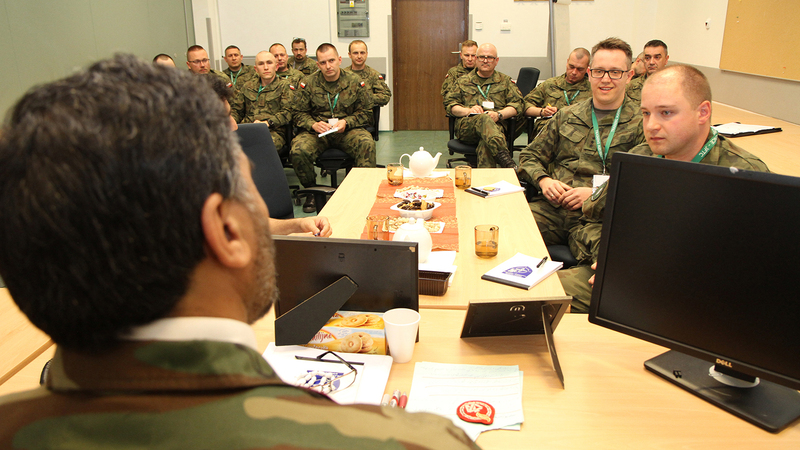 Among other things they practiced cooperation with interpreters during the advisory process, basics of the language, cooperation between staff officers and advisors in the area of mission planning and execution. 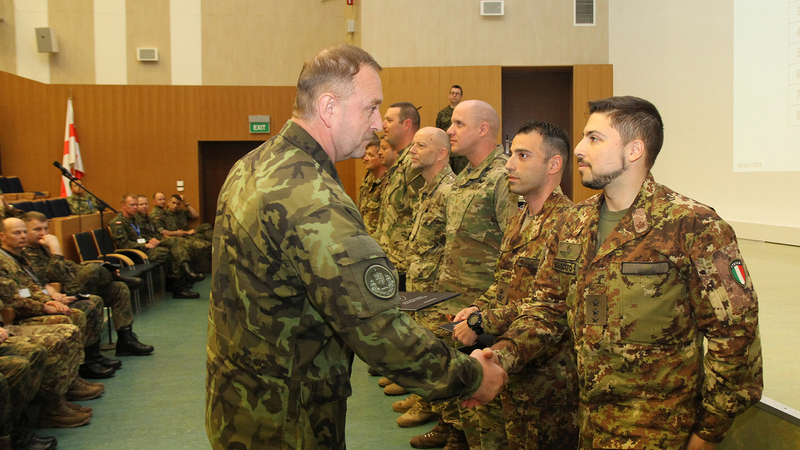 During the two weeks, the future Resolute Support members had also chance to interact with former and future leaders of the mission. 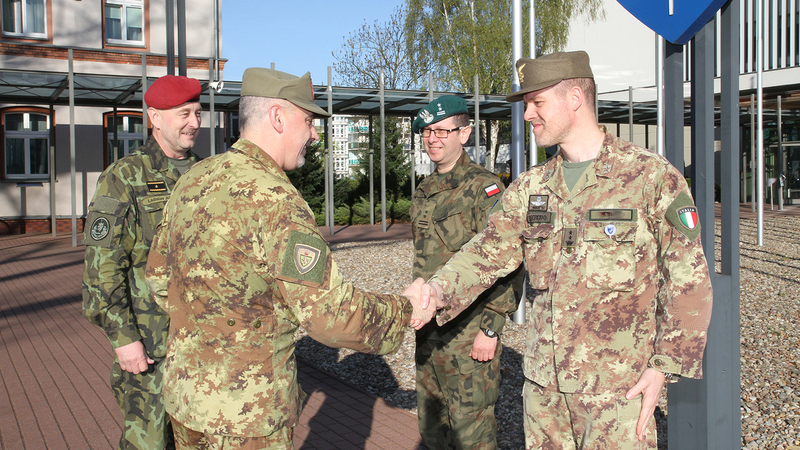 They met with Brigadier General Massimo Biagini, the former Commander of the Train Advise Assist Command West (TAAC-W), who supported the academic phase with his broad experience from the theatre. 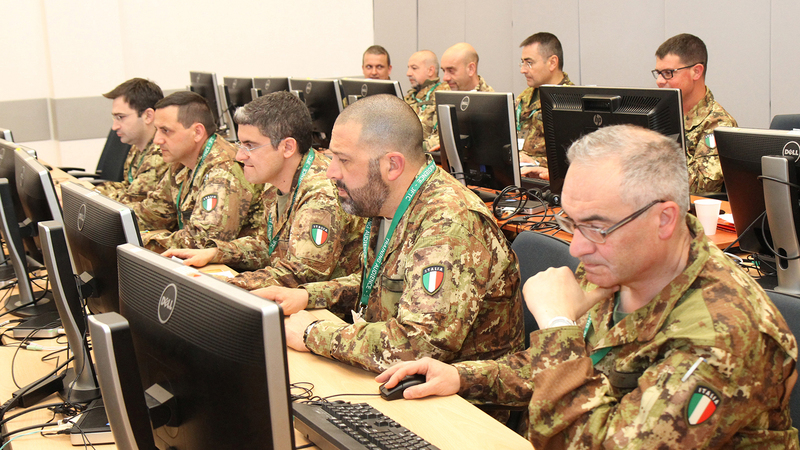 Throughout the whole event, the trainees also worked with Brigadier General Francesco Bruno, who will be the next TAAC-W Commander. The academic phase of the training was also supported by representatives of international organizations, including the International Committee of the Red Cross. 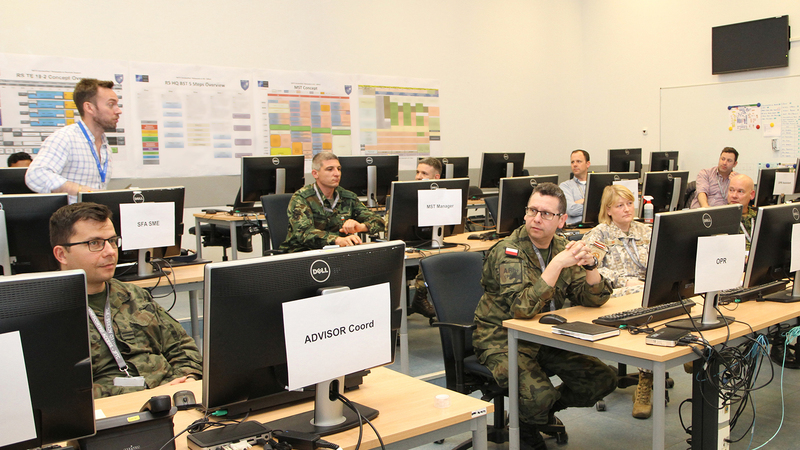 Its representative, Mr. Walter Füllemann, Head of Delegation to the EU, NATO and the Kingdom of Belgium, visited the training area in person. To learn more about the beginning of the training event, click here.